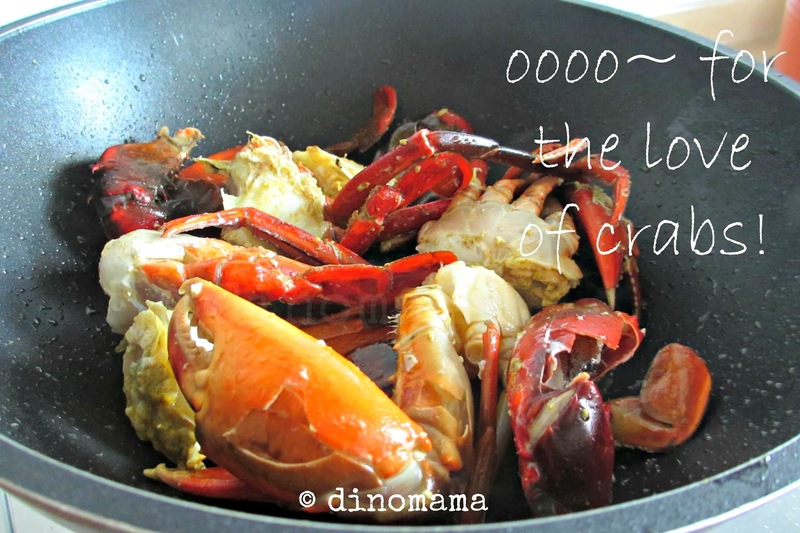 One of the weekend not so long ago, DinoPapa suddenly had a craving for crabs, not wanting to spend a fortune to settle his cravings in some restaurants he decided that he will cook the crabs himself. He went off to the local supermarket Sheng Siong to get the crabs, when he got back he showed me a bag of crabs all nicely chopped up by the staff in the supermarket. 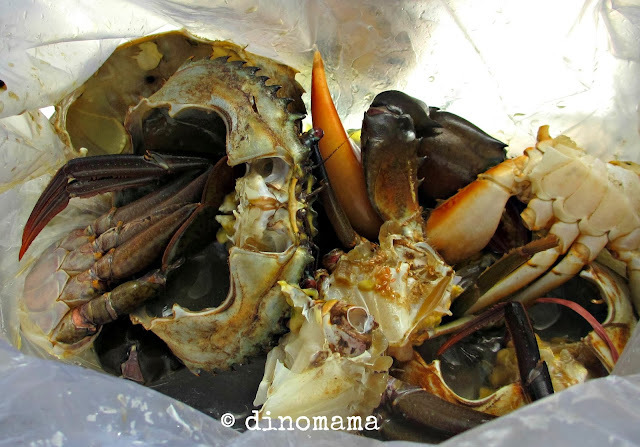 This saves him the trouble of killing the crab which he finds it hard to do it emotionally as the "traditional way" of killing them is to stick a chopstick from the bottom (where you see a small triangular flap) into their body, hold the side of the carapace and just pull the shell of. Not very humane way but this is the only way to make cause less suffering to a crab. So anyway, together with the 3 crabs he bought from Sheng Siong he also bought a packed of chillie crab mix. Not sure about the brand as I forgot to take a look at it before he discard the packaging away. 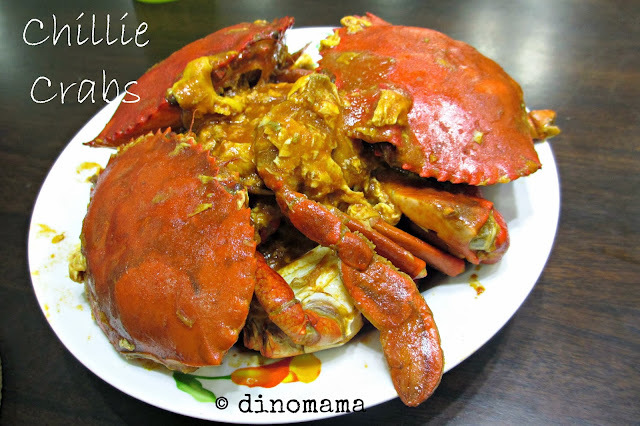 After stir frying the crabs, adding some eggs to the gravy, our chillie crabs are ready for our consumption! They taste as delicious as they look! 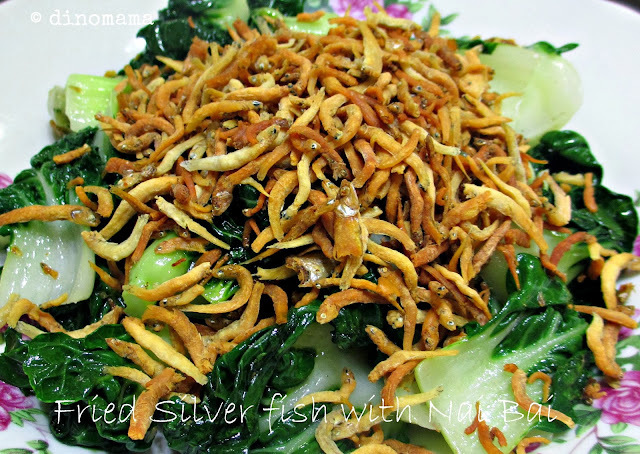 DinoPapa also cooked DinoBoy's favourite dish, fried silver fish with nai bai. This boy loves the crunchiness of the silver fish that he ate mostly the fish and leave the veggie alone. 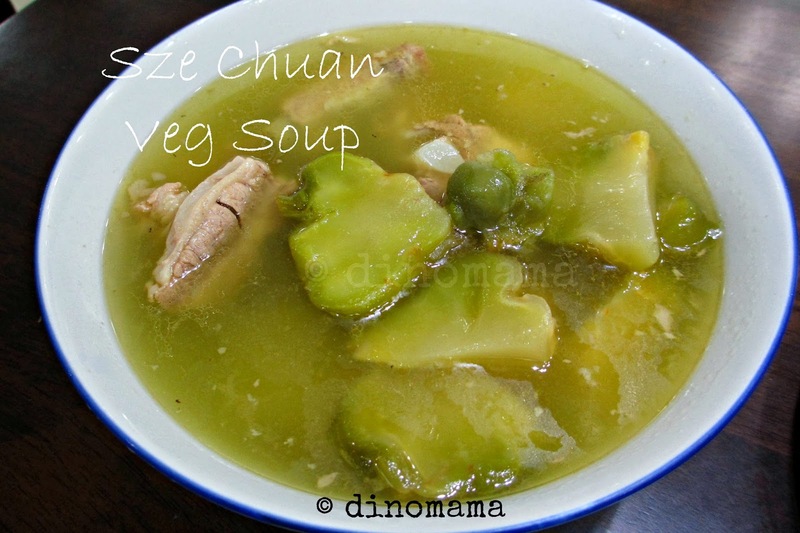 I suddenly have a craving for the salty spicy Sze Chuan vegetable soup with pork ribs. DinoPapa obliged me and cooked a big pot for me to drink~ Feeling so loved! To complete the meal, DinoPapa cooked steamed minced meat with egg. 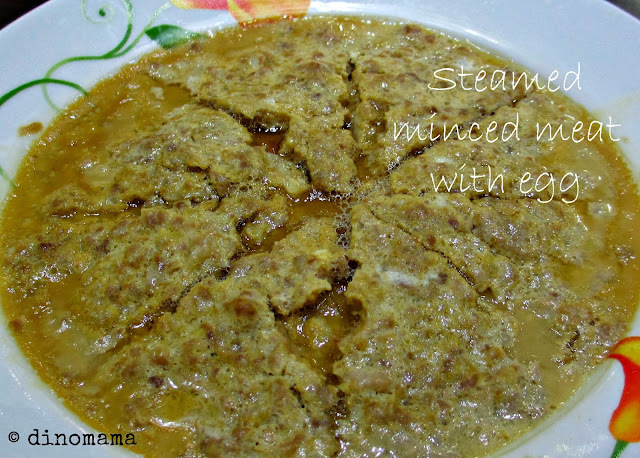 I am not a minced meat person but I do like this dish a lot. I'm not sure why, perhaps its the way he marinate the minced meat, will have to check with him. And of course every one enjoyed the dinner that day as its filled with our favourite dishes. Home cooked meals are definitely more satisfying then eating out. 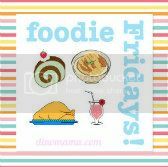 What are your favourite food? Go Sheng Siong and get them to kill the crabs for you, then you'll have a crab feast!